We make a pretty bold statement on our PEAM infographic: Children of active parents are 5.8X more likely to be active themselves. This statistic came from Influence of parents’ physical activity levels on activity levels of young children (Moore et al). Interestingly, this is when BOTH parents are being active. 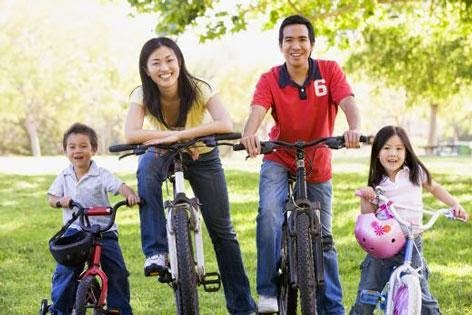 The same study states that if just mom is active, the children are 2X more likely to be active and if just dad is active the children are 3.5% more likely to be active.This highlights the importance of both parents being active role models whenever possible. One of our favourite videos of a mom being an active role model is from England's recent campaign, 'This Girl Can'. It is called Kelly Vs Mummy. Watch it here.